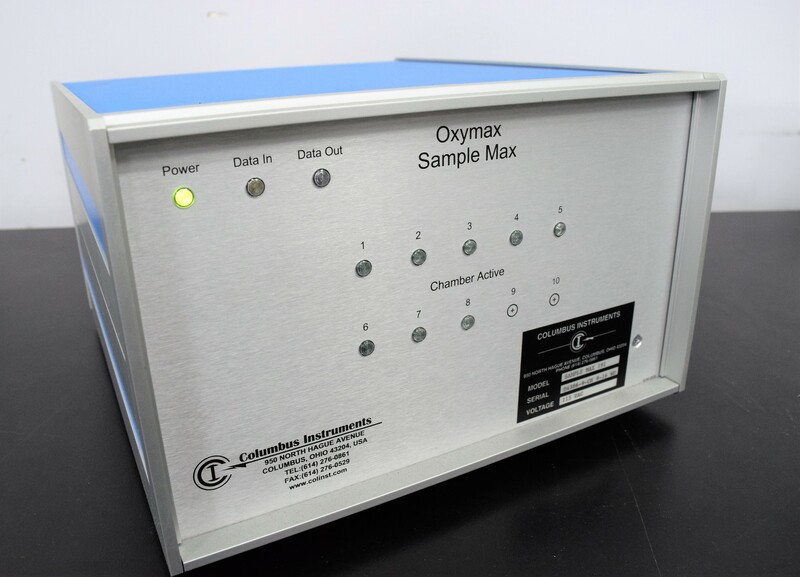 Columbus Instruments Oxymax Sample Max 191 8-Channel for Animal Testing Unit . New Life Scientific, Inc.
- Power Tested, received no errors. The Columbus Instruments Columbus Instruments Oxymax Sample Max 191 is in good cosmetic condition with minor wear. This unit comes with 8-Channels. All the input and output connections are in good condition. The instrument was powered on with no issues found. Other components for this system are offered in our e-store. Our in-house technician visually inspection of the Columbus Instruments Oxymax Sample Max 191 and confirmed that it is in good cosmetic condition. They powered the unit on and didn’t receive any errors.